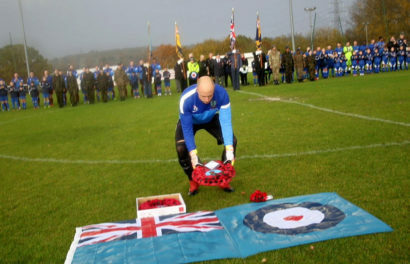 Squadron Leader Bowden lays the wreath for the RAF fallen. 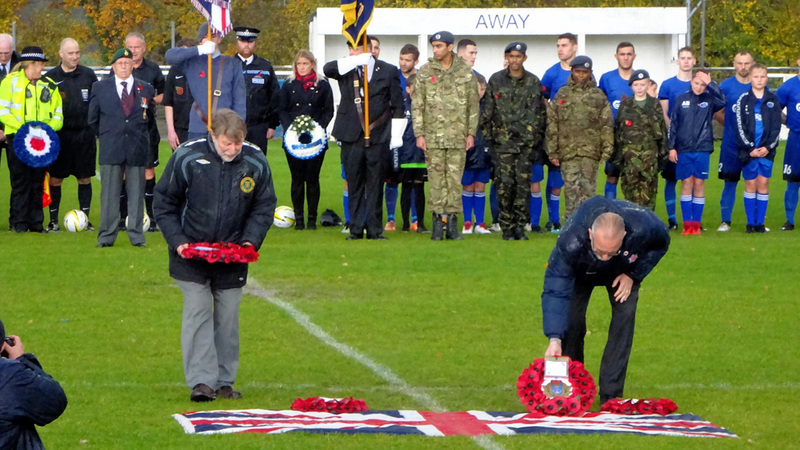 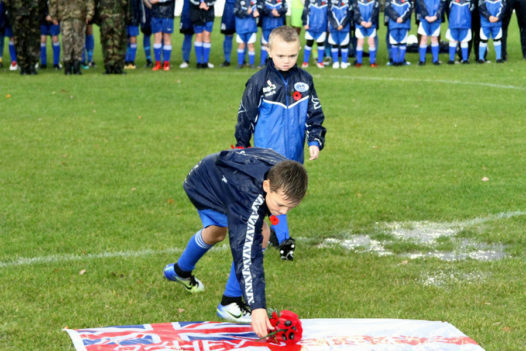 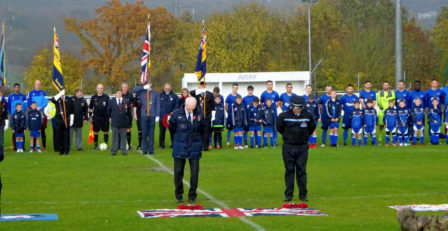 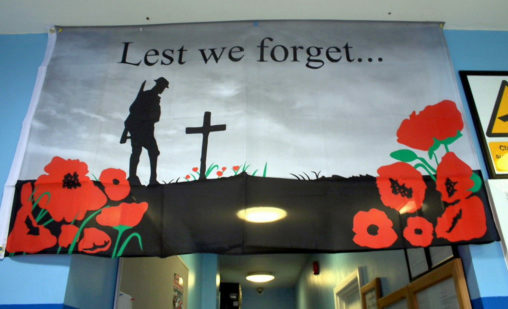 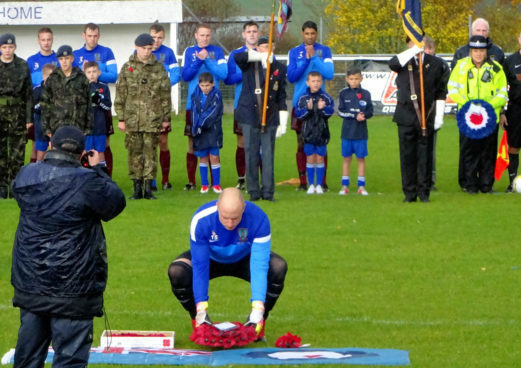 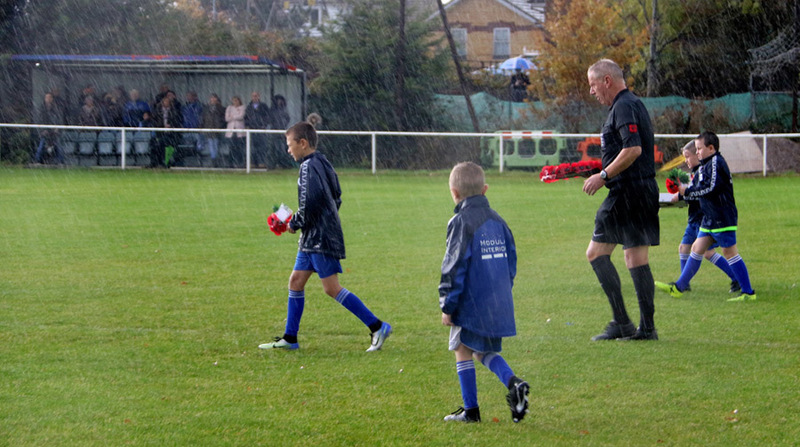 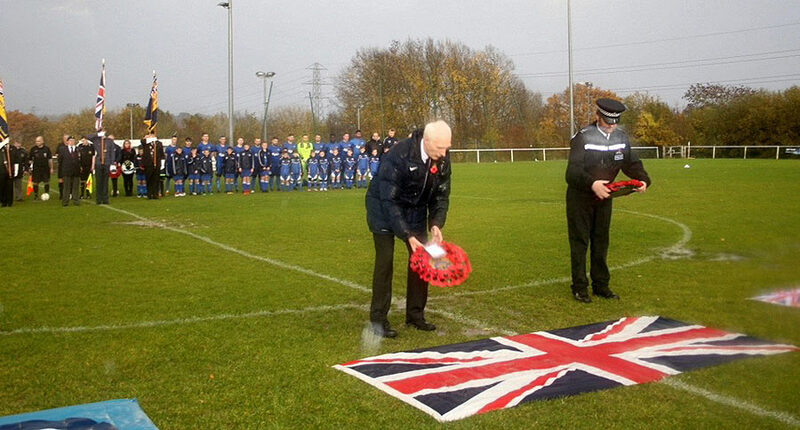 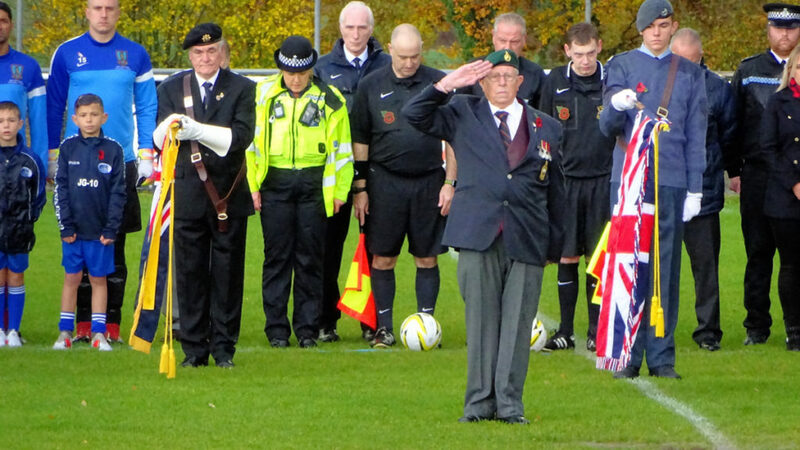 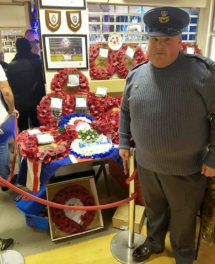 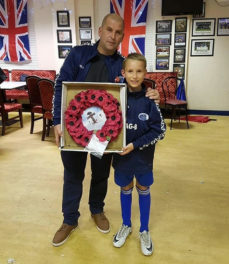 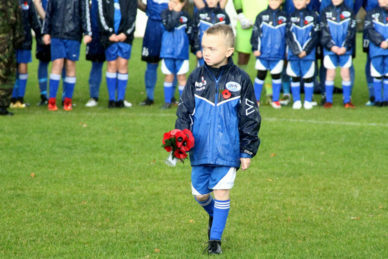 Oxhey Jets youth and the match referee, John Feenstra, step forward to lay their wreaths. 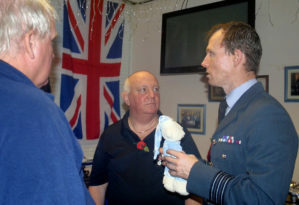 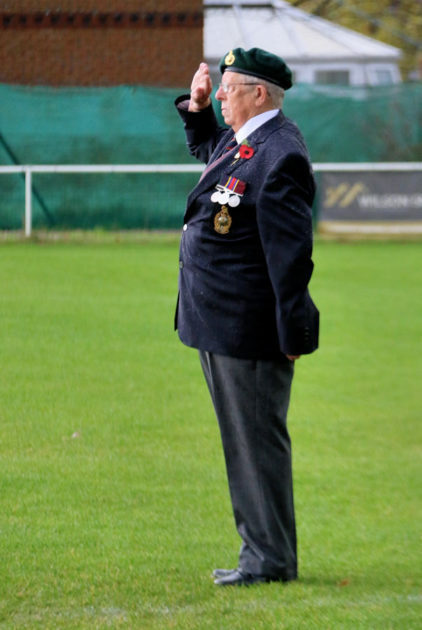 Fred Weaving, a former Royal Marine commando and a long time friend of Oxhey Jets takes the salute. 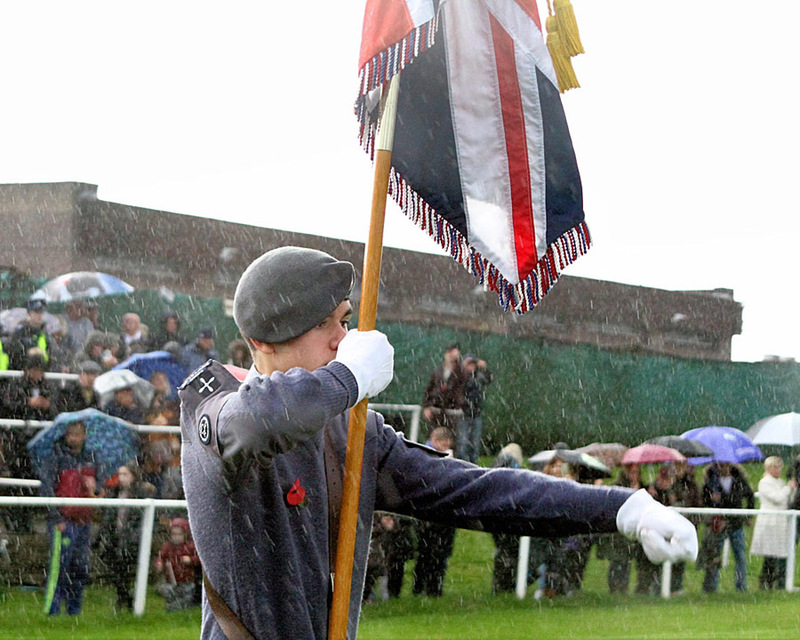 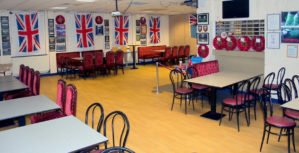 Union colour bearer doesn’t flinch despite the deluge. 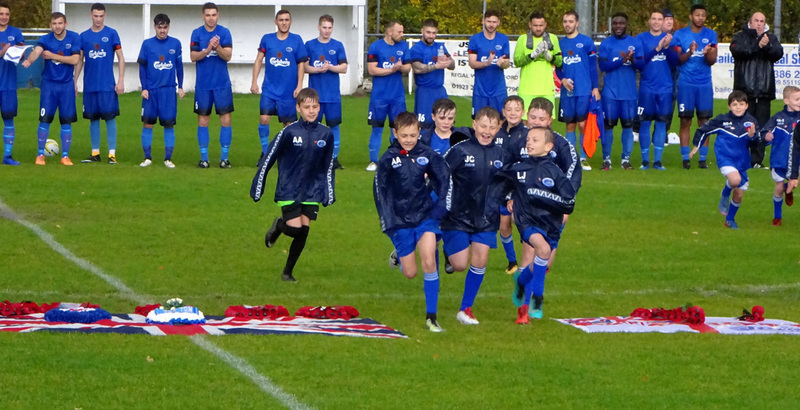 Ceremony over, the kids make a run for the stands! 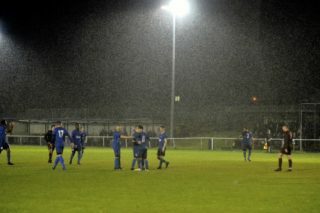 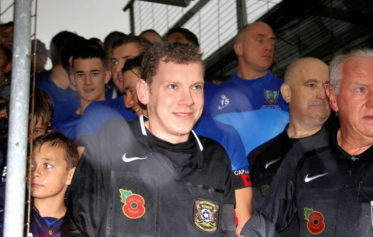 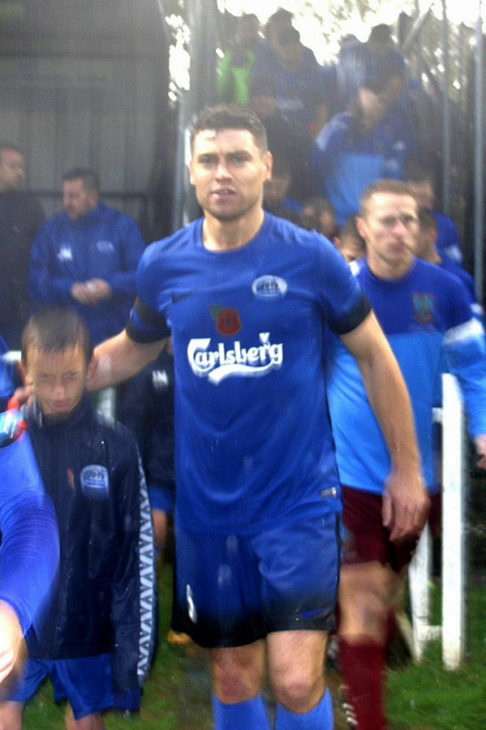 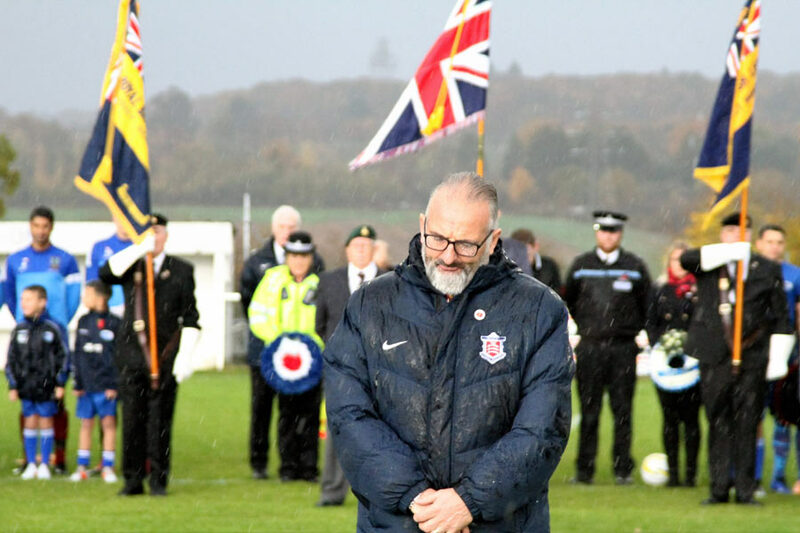 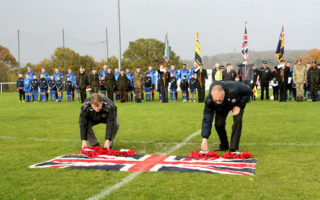 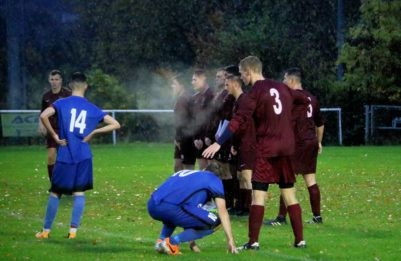 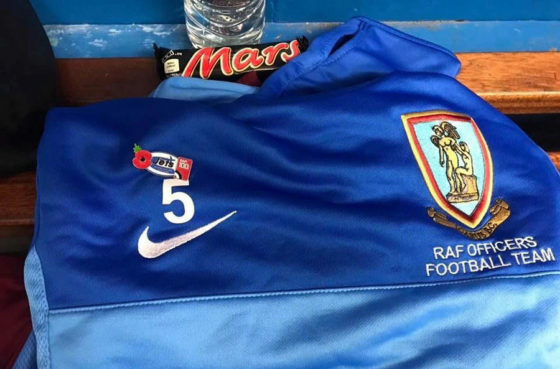 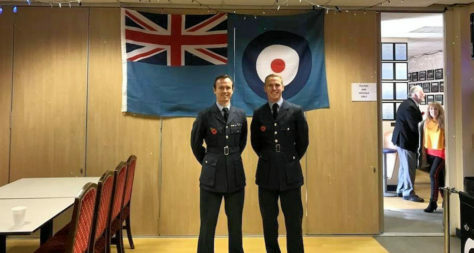 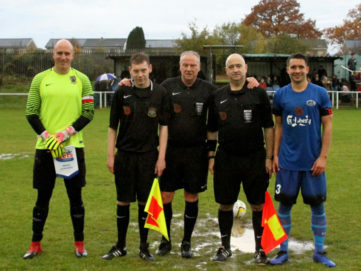 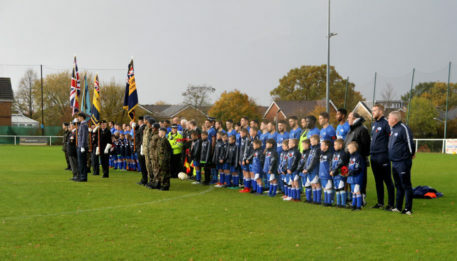 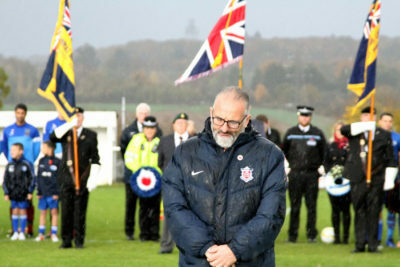 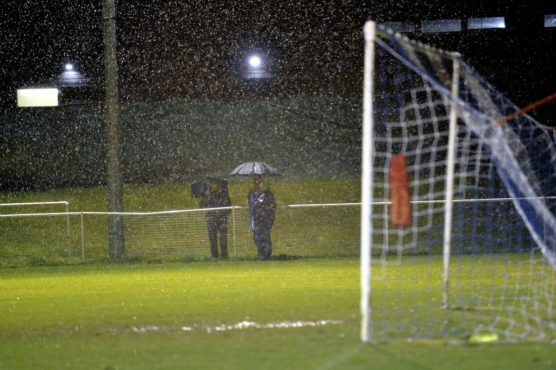 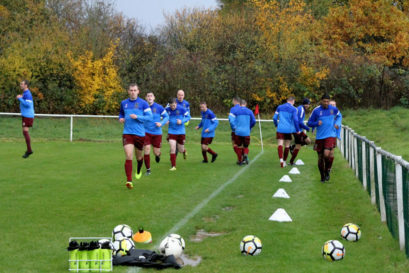 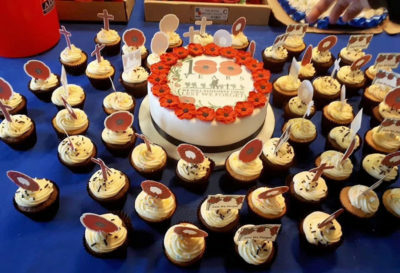 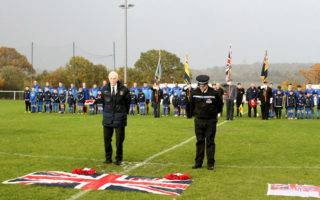 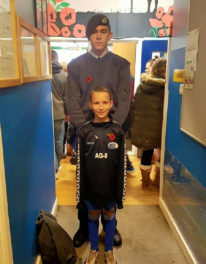 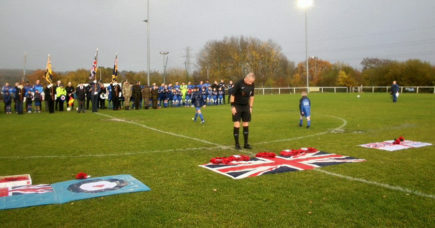 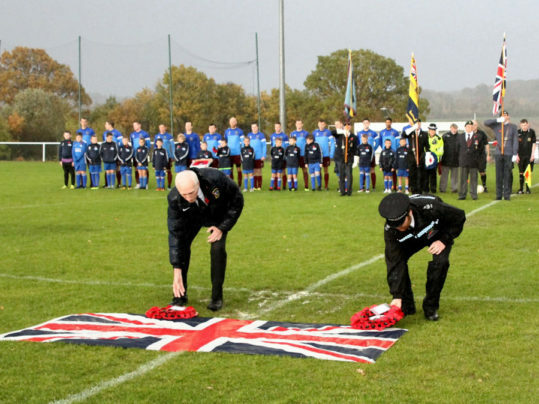 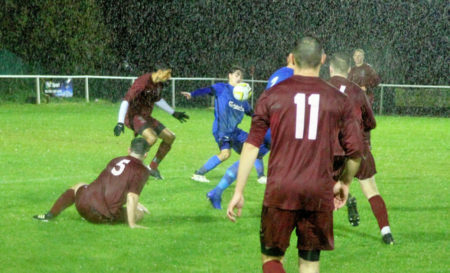 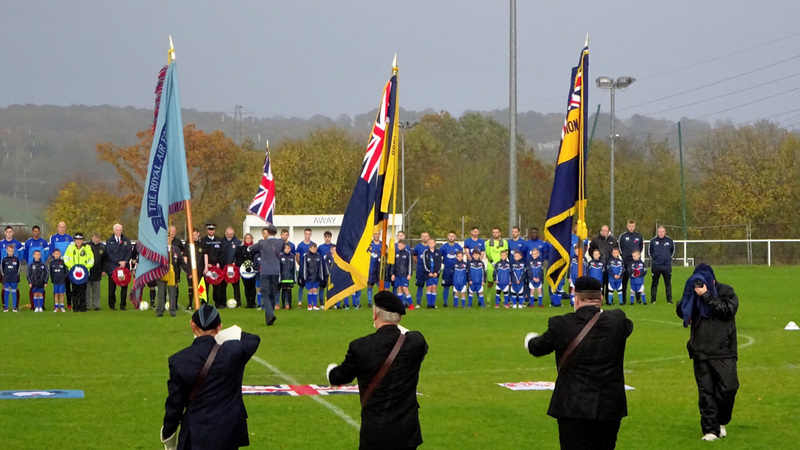 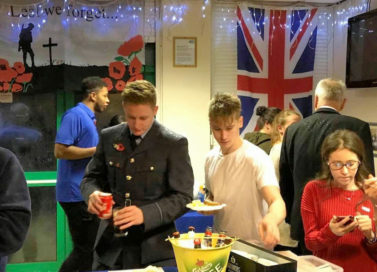 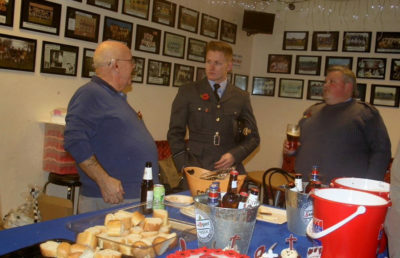 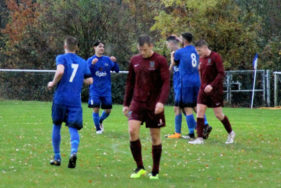 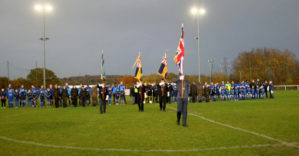 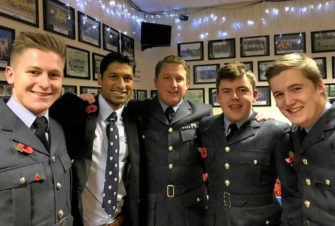 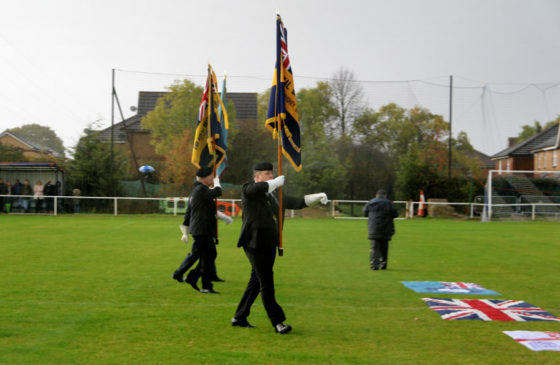 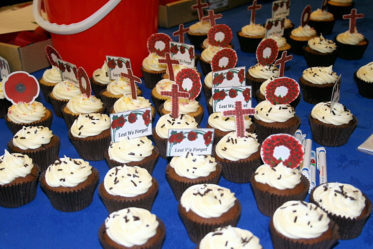 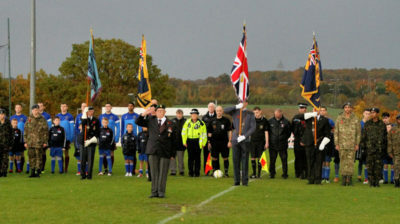 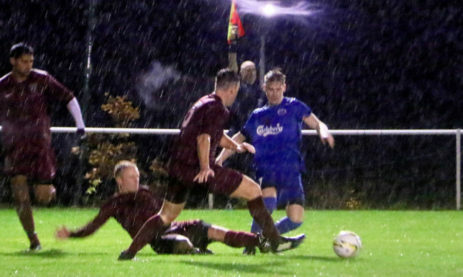 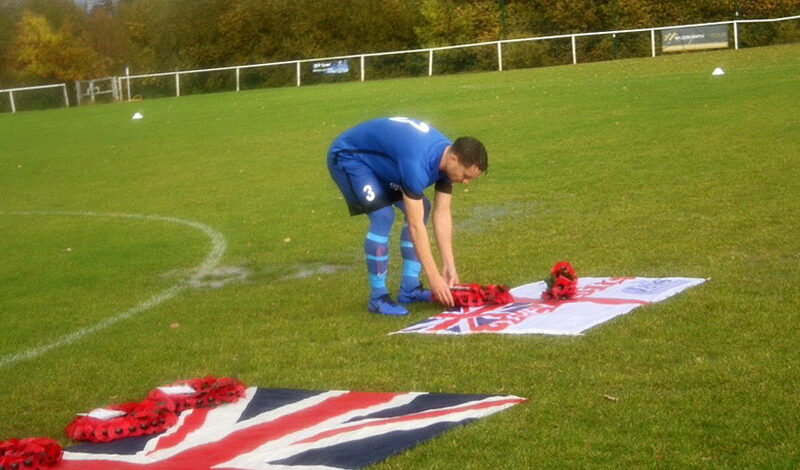 The rain couldn’t put a dent into the Armistice 100 remembrance with RAF Icarus FC. 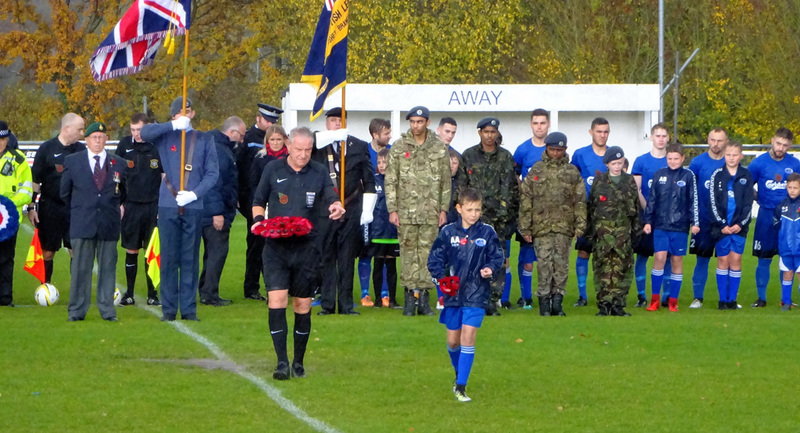 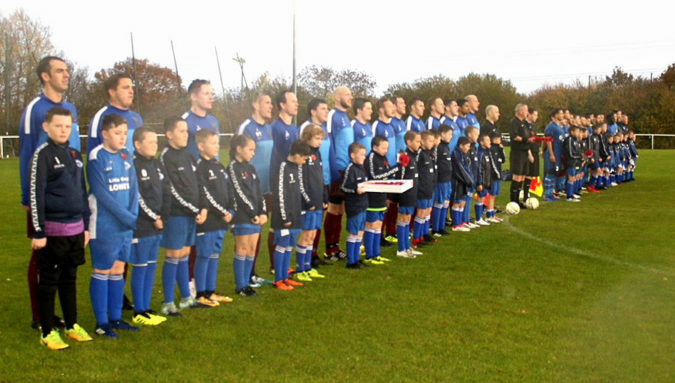 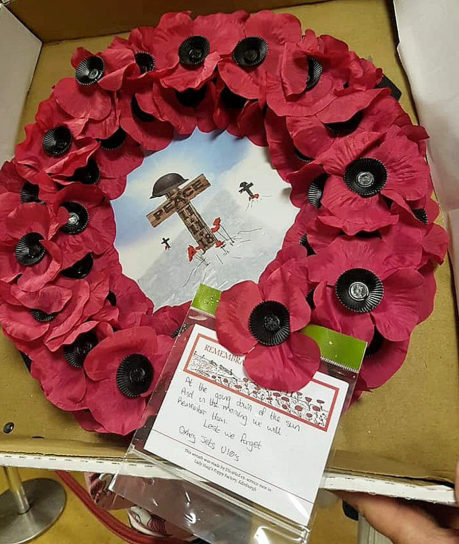 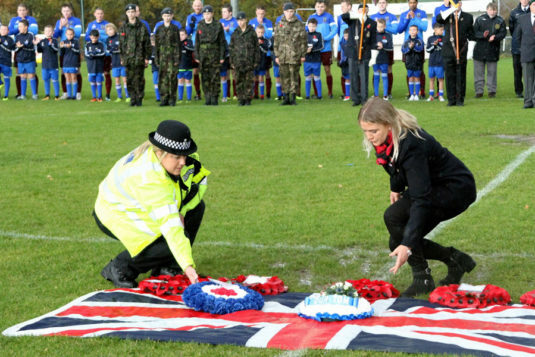 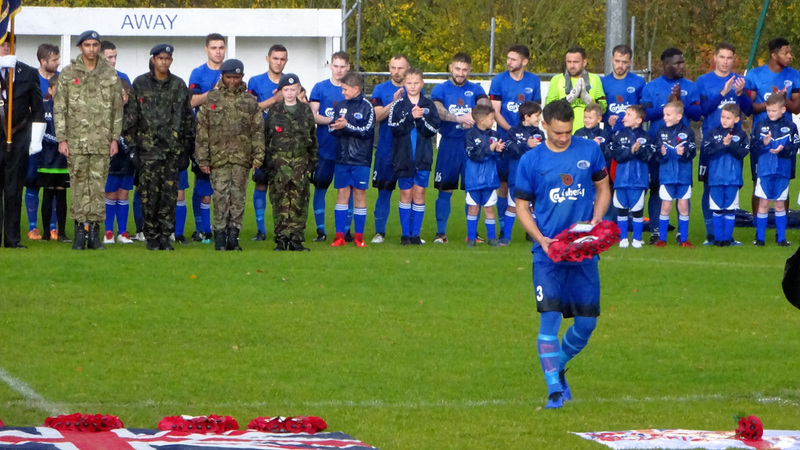 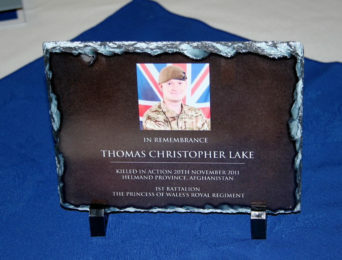 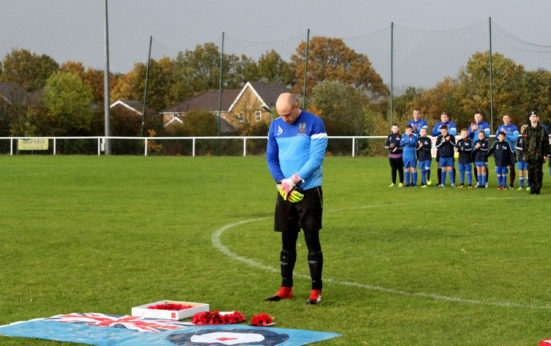 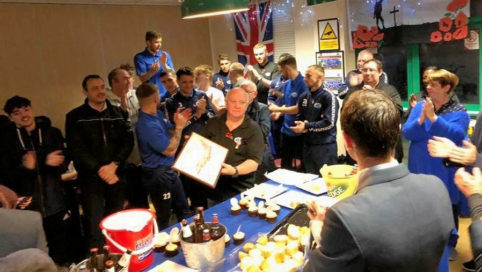 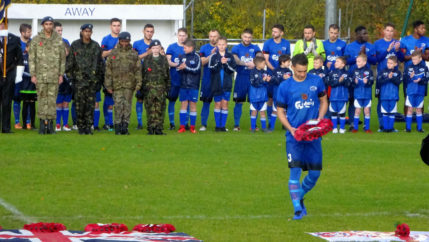 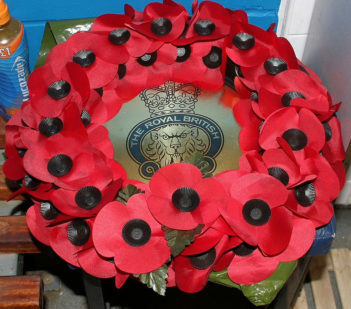 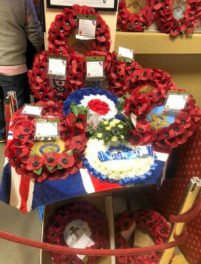 A moving ceremony with wreaths laid by the two team captains, Oxhey Jets youth, the match referee, representatives from the Hertfordshire FA, Spartan South Midlands League officials and referees, the Police, RAFA, and finally Lisa Hodges in memory of Private ‘Tom’ Lake. 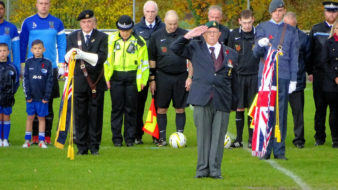 Fred Weaving took the salute, and there was total stillness in the ground for the two-minute silence. 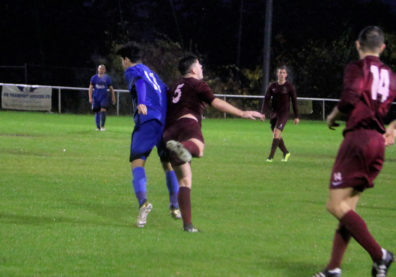 Jets edged a close match 2-1, with Sean Giordmaina shooting from just inside the area to win the match with only a few minutes left. 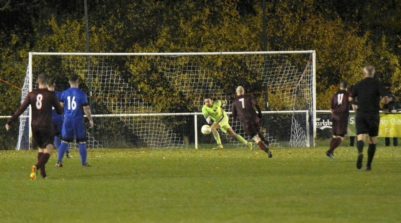 Icarus started brightly and had the early chances, hitting one just wide and forcing a good save from Matty Evans in the Jets goal. 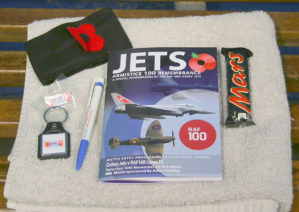 Jets then settled and, for a period, took control of the game. 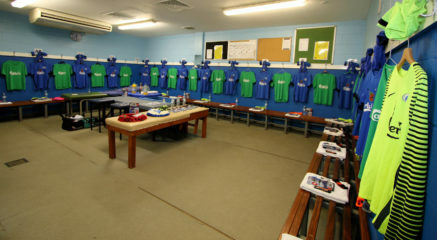 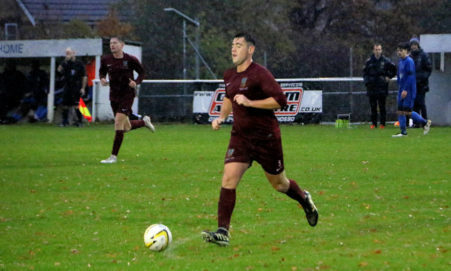 Leigh Stevens was controlling the midfield and Jets created chances. 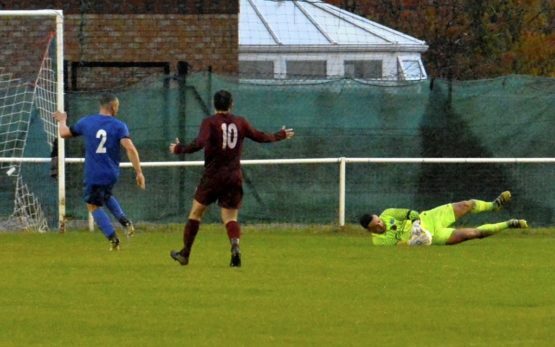 Leigh Stevens went close and then Nick Kerley fired a robust left-foot shot just wide. 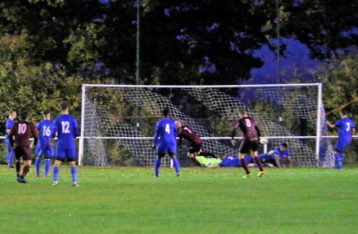 A good save denies Sean Giordmaina in the first half. 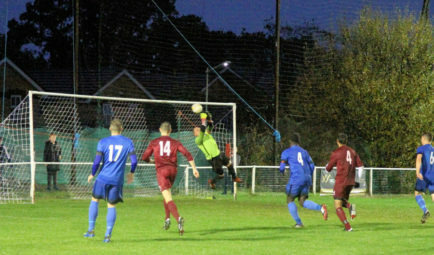 Sean Giordmaina created a great opportunity but the Icarus keeper, who made several good saves, pushed Sean’s shot over the bar. 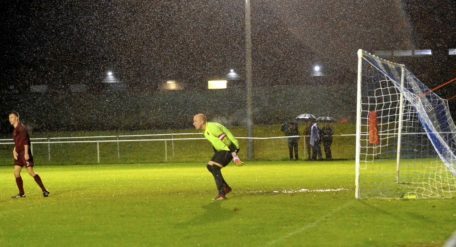 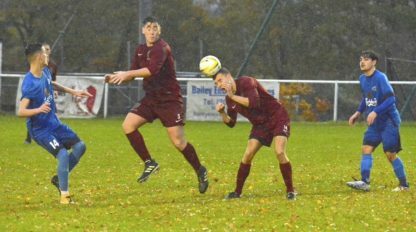 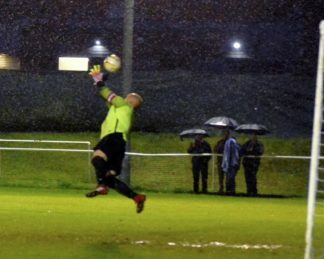 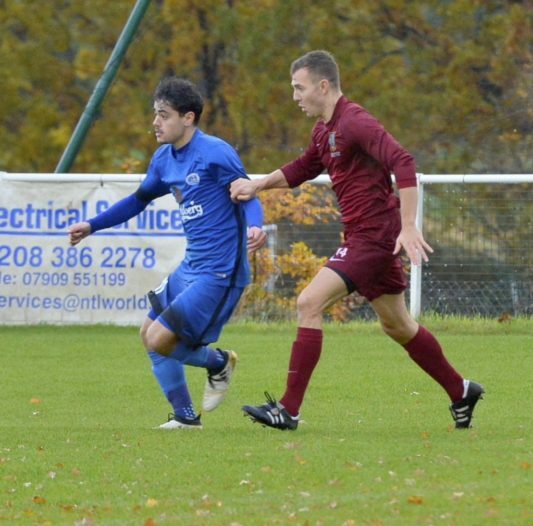 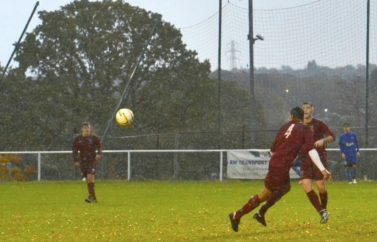 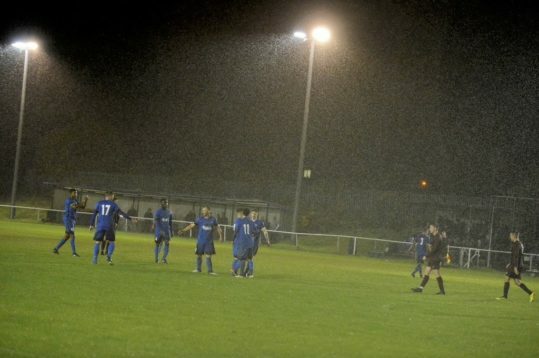 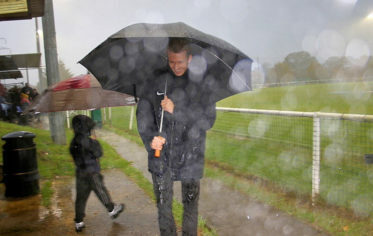 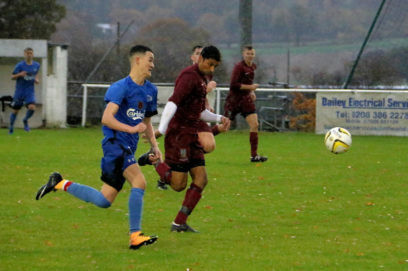 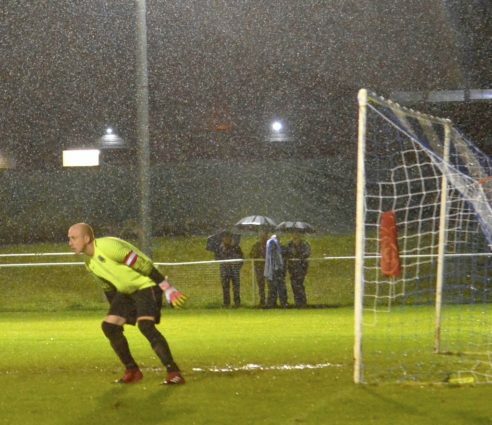 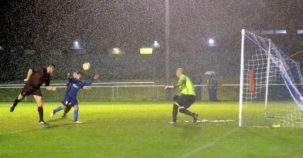 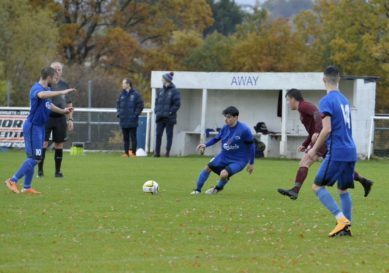 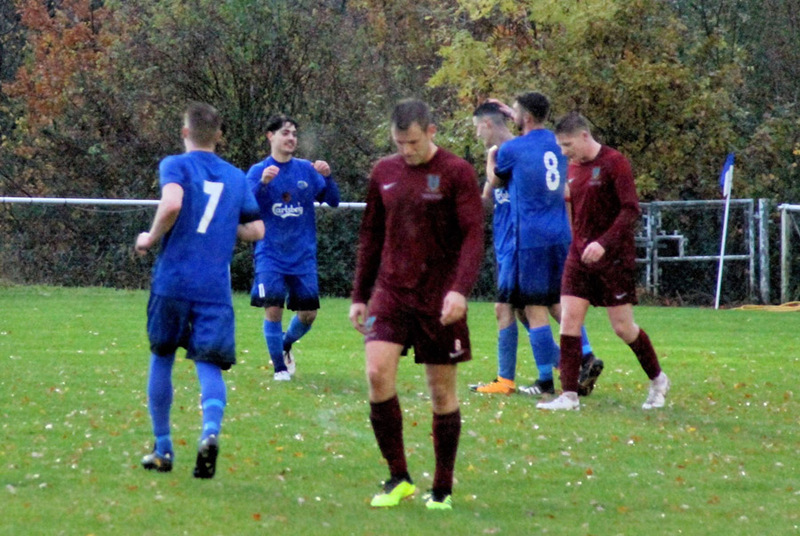 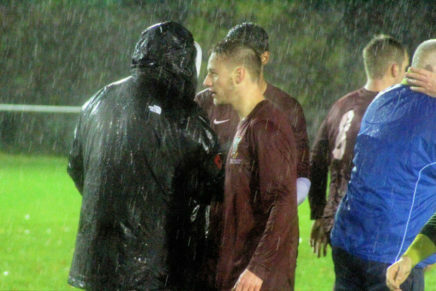 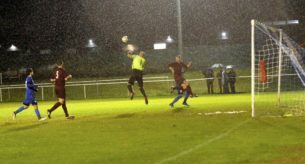 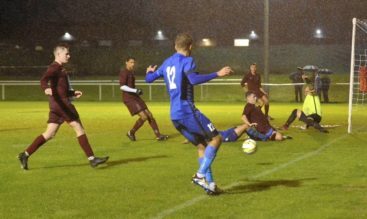 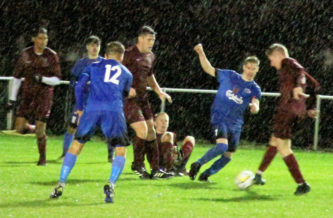 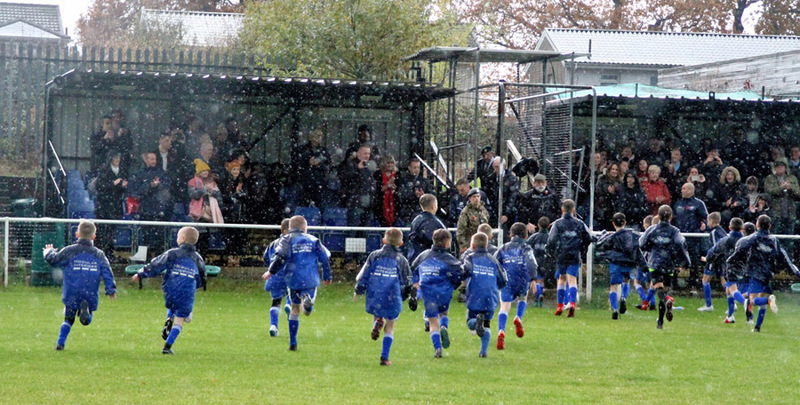 Jets then got the lead, young Ollie Lawford the scorer, his shot getting a fortunate assist from the rain-sodden ground to beat the Icarus keeper. 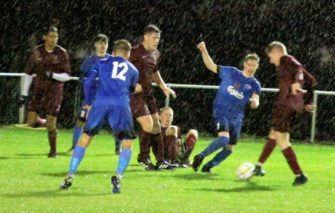 Jets continued to look strong, and Nick Kerley fired in another left-footer that forced a good save from the keeper. 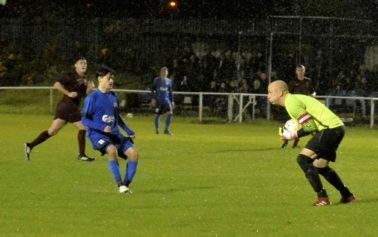 Despite Jets attacks, Icarus looked dangerous on the break. 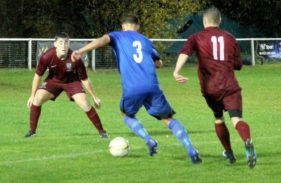 Tremendous pace up front and some well-planned counter attacks gave them their best opportunities of the half. 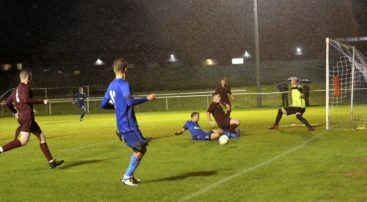 Half Time 1-0. 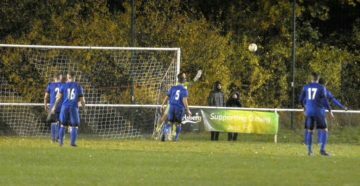 The second half started very even with George Hobson denied by a good save, and then Matty Evans saving low at feet from an RAF attack. 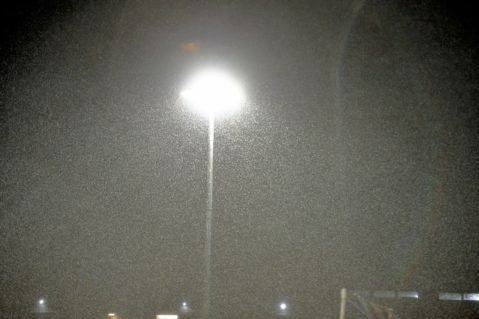 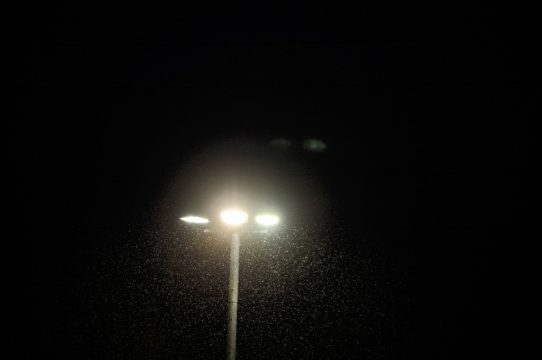 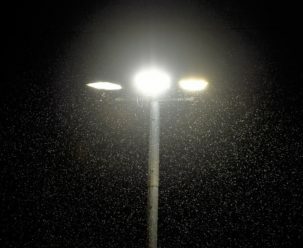 It’s there. 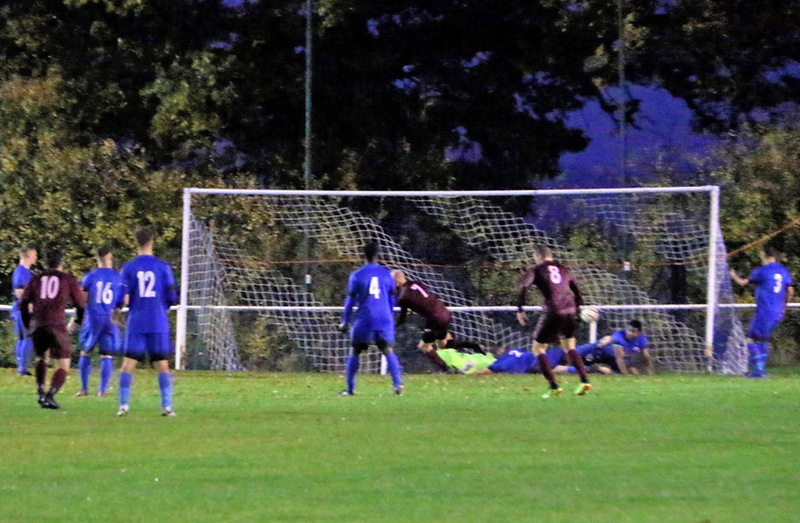 The Icarus equaliser hits the net. 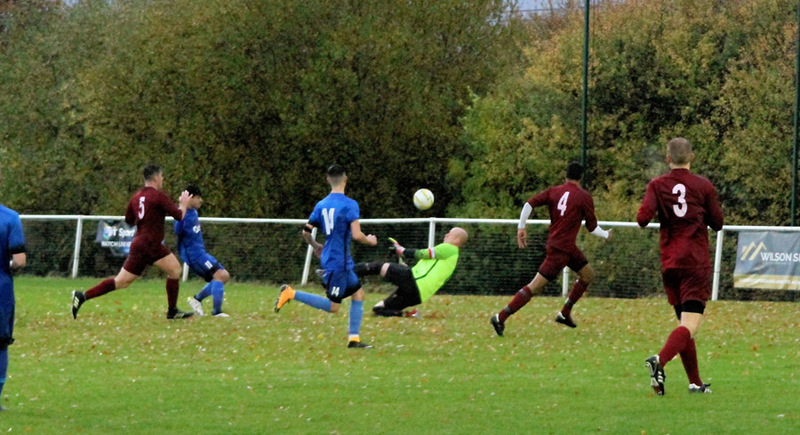 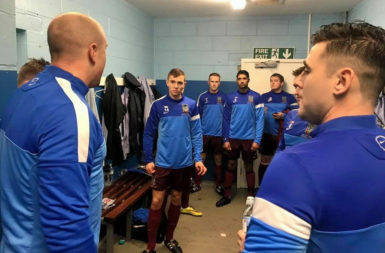 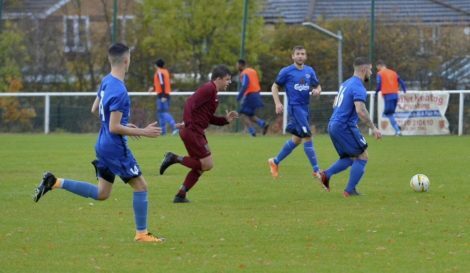 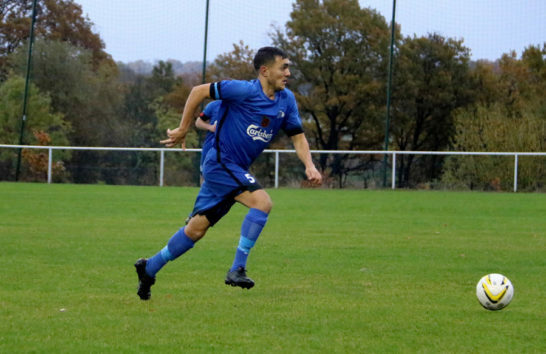 Icarus then had their best period of the game as they fought for the equaliser, upping their pace and pushing men forward to try and make it count. 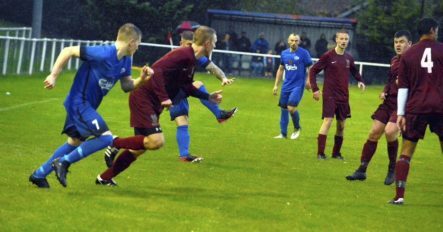 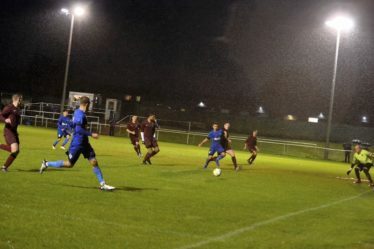 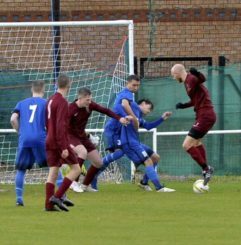 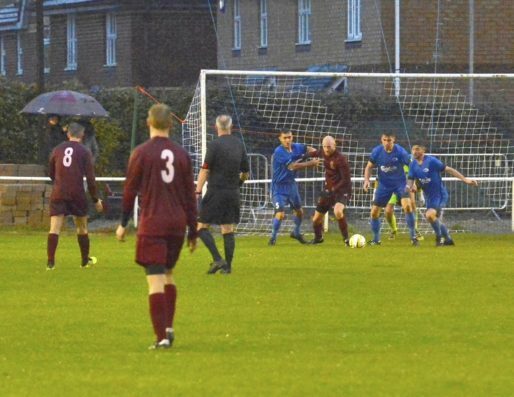 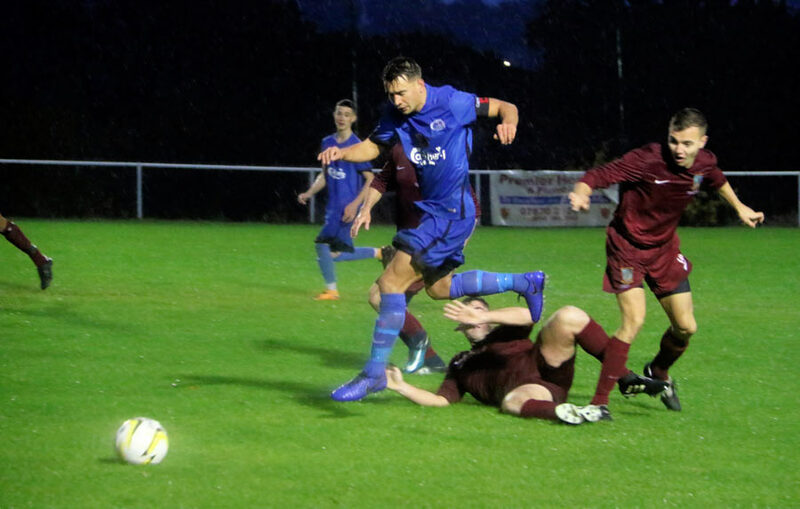 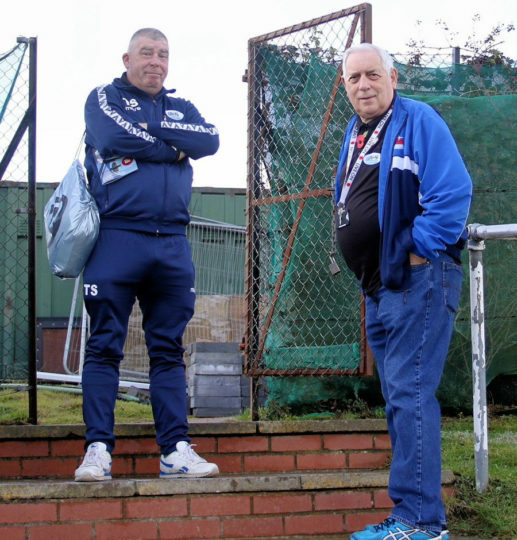 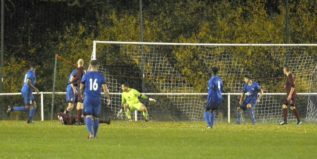 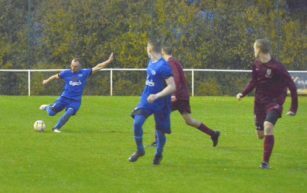 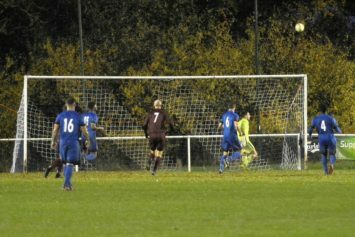 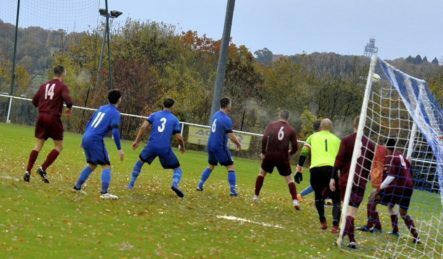 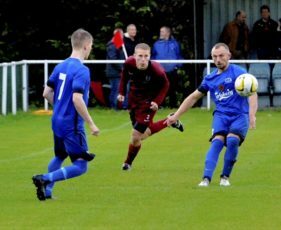 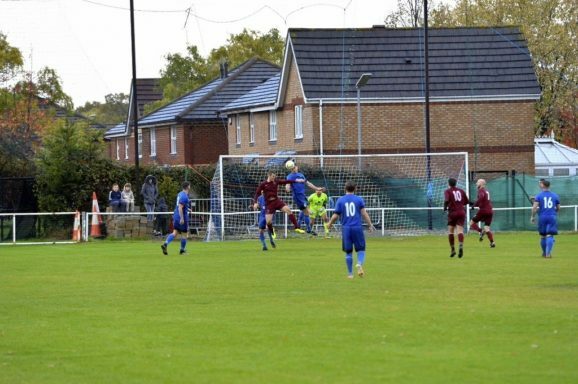 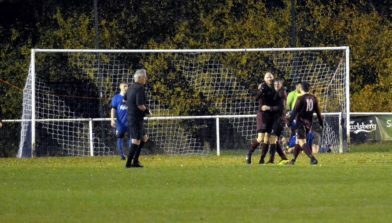 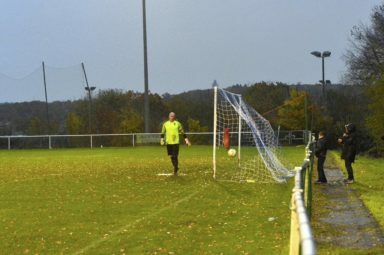 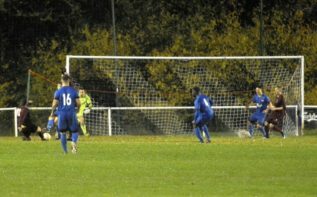 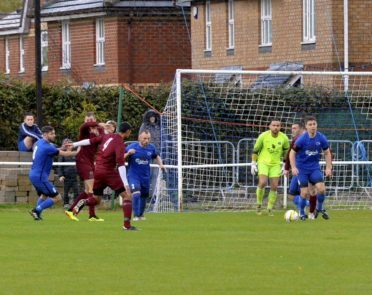 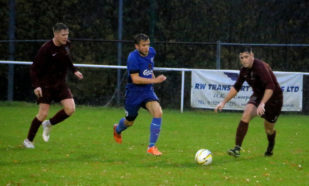 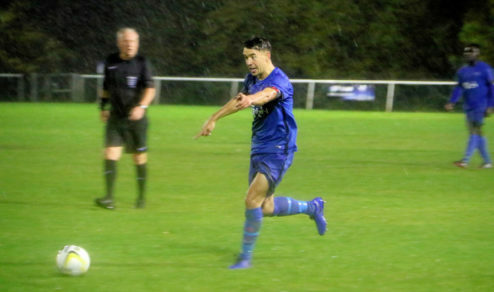 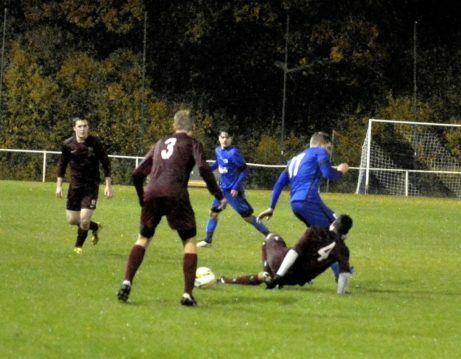 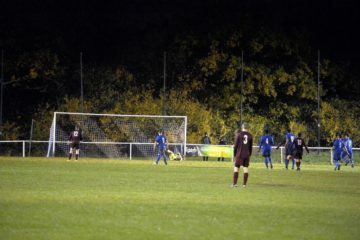 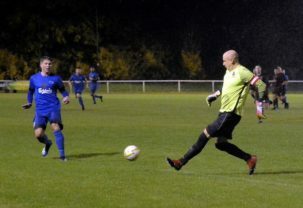 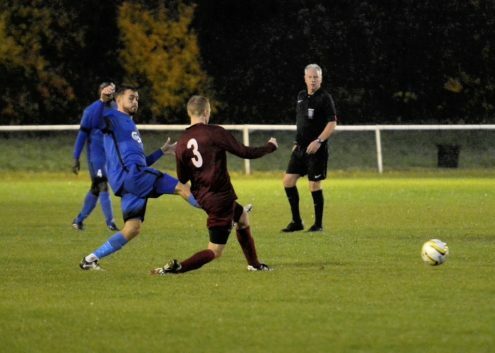 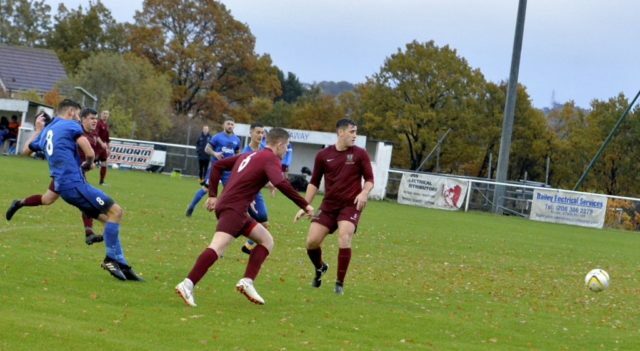 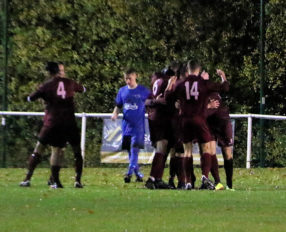 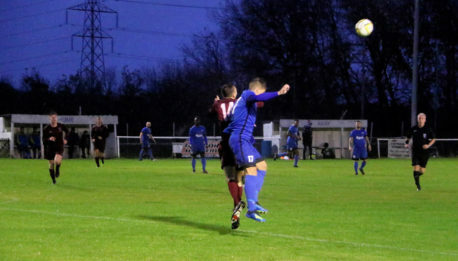 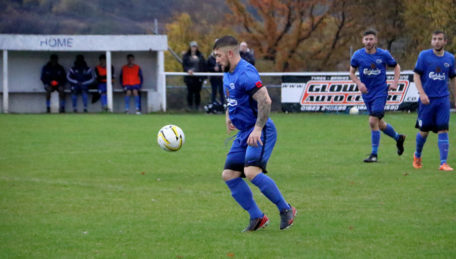 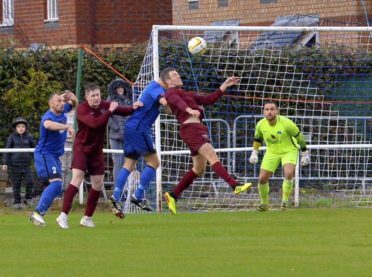 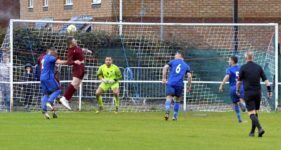 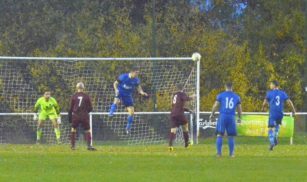 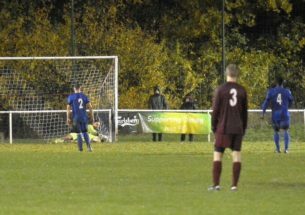 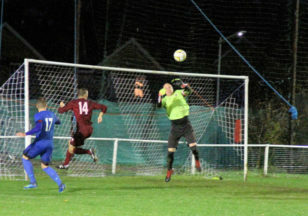 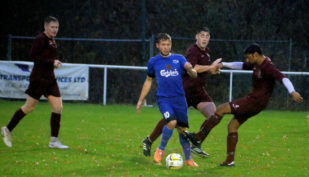 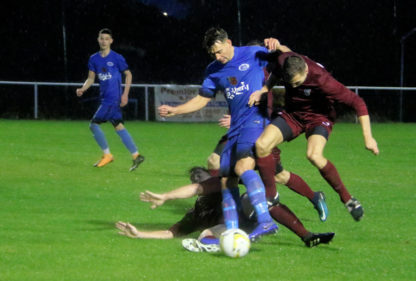 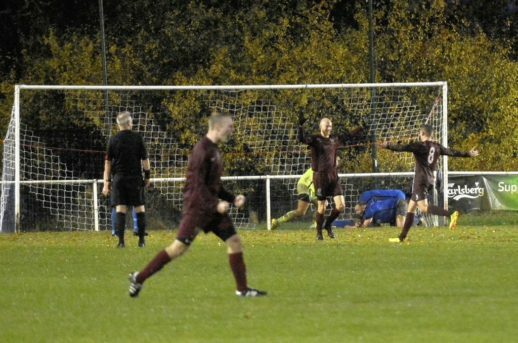 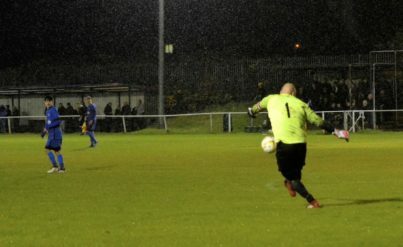 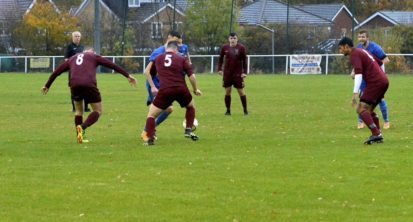 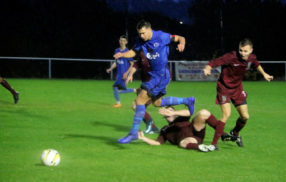 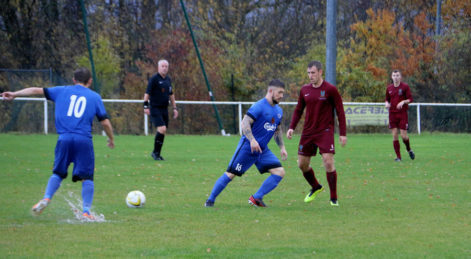 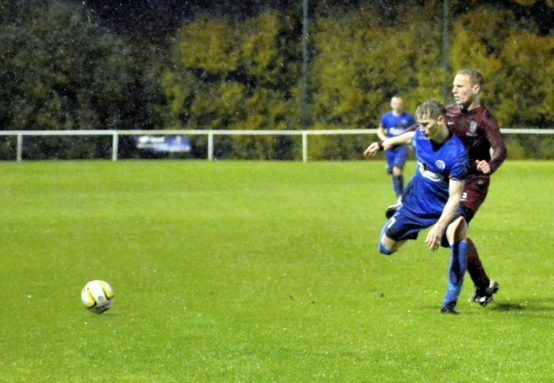 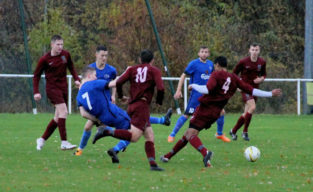 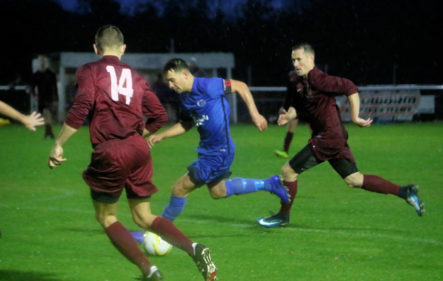 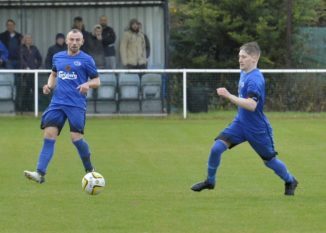 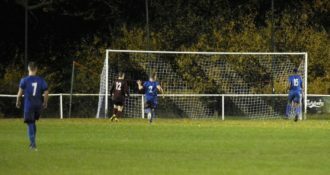 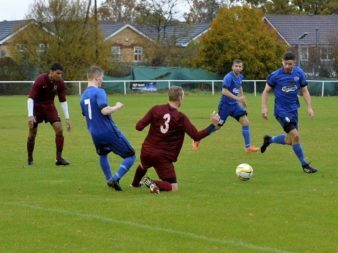 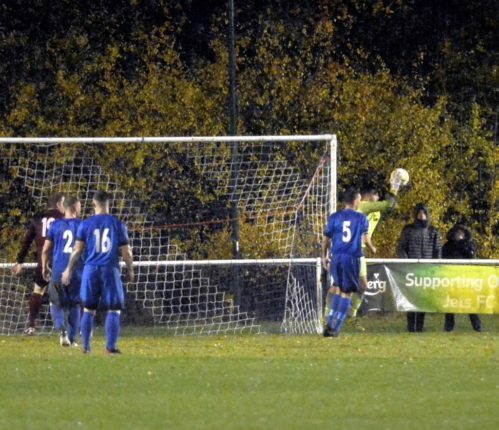 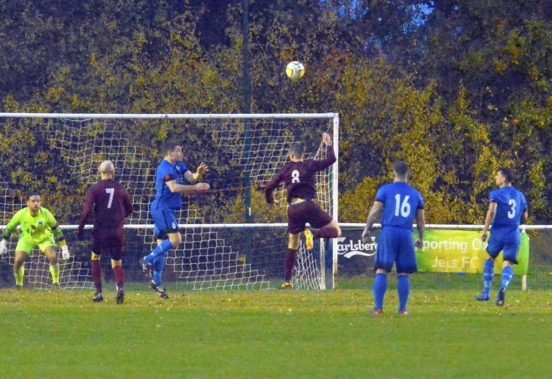 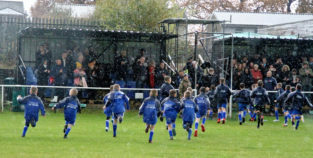 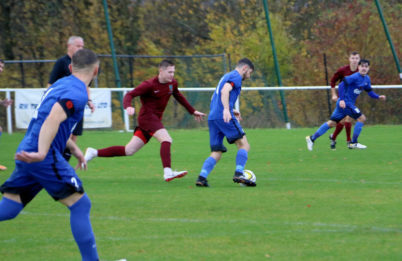 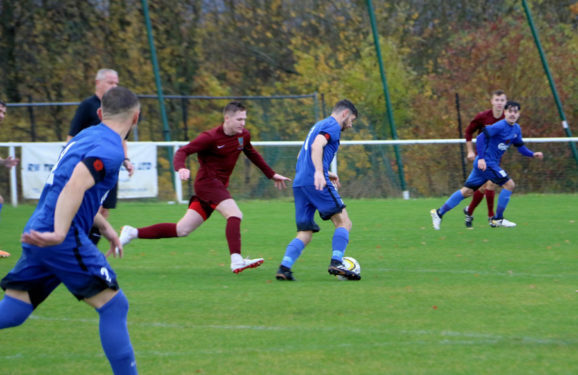 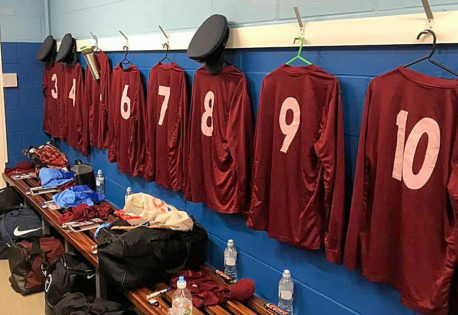 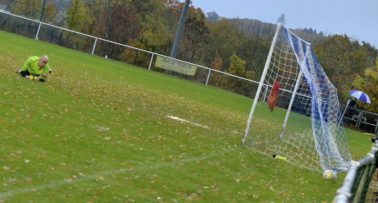 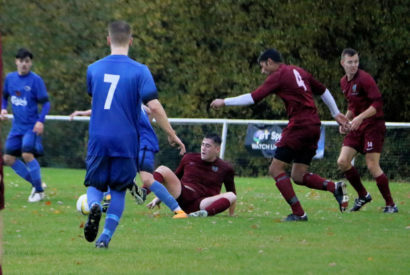 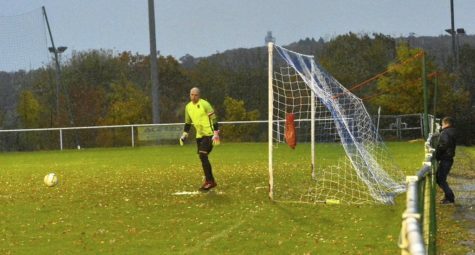 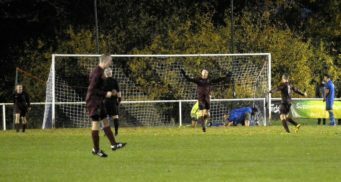 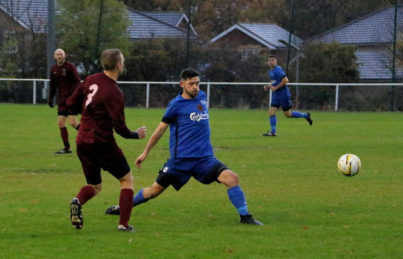 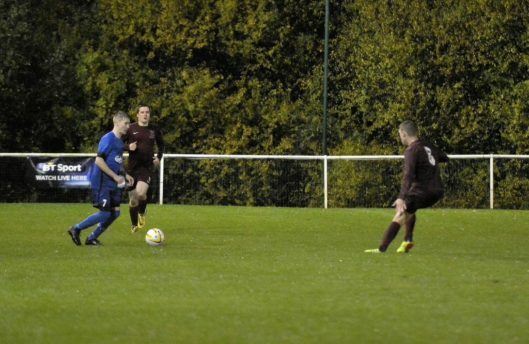 Their goal came from a sustained attack after a break down their left, and then a pinball sequence were they hit the post, hit the bar, and had a shot cleared off the line before Tom Somerville slotted home from inside the area. 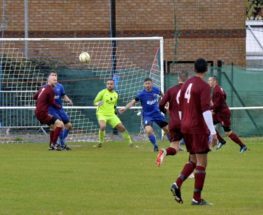 Both teams went in search of a winner, and the Jets regained the initiative. 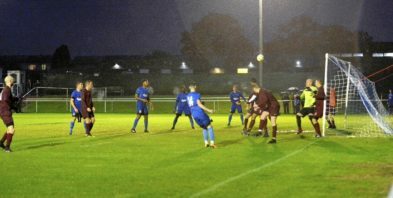 Sean Giordmaina just failed to get his head to a bullet of a cross, but a few minutes later he had the chance that won the game. 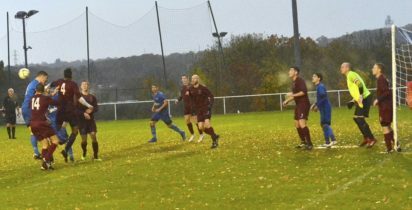 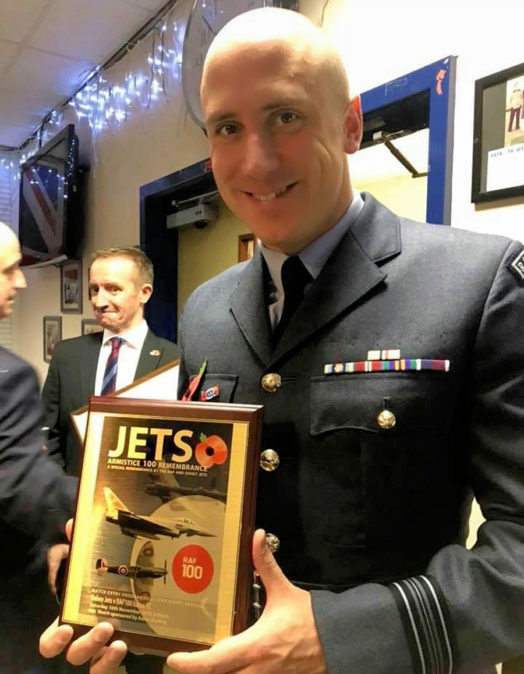 Another surging run down the left by Jets captain Tom Gibson, this time getting through the RAF defensive tackles, the ball breaking to Sean on the edge of the area who swivelled and shot into the corner of the net before Icarus could react. 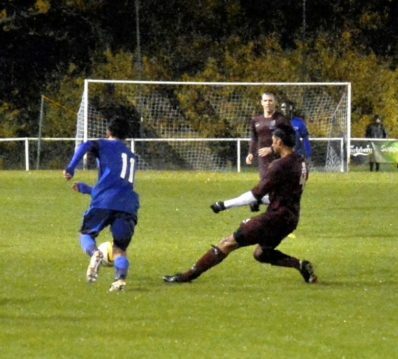 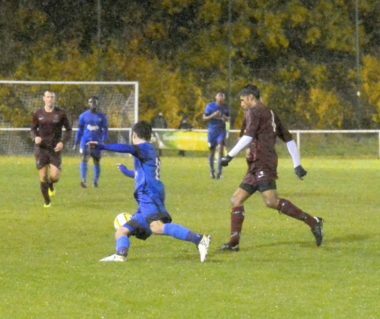 Sean Giordmaina turns to hit the winner. 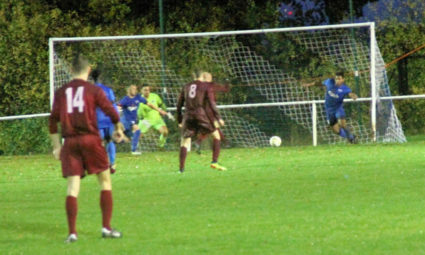 Sean’s winner headed for the bottom corner. 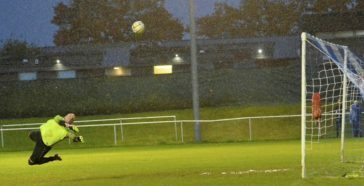 Icarus tried hard to level, but Jets kept them closed down until the final seconds when they had half a chance but shot wide. 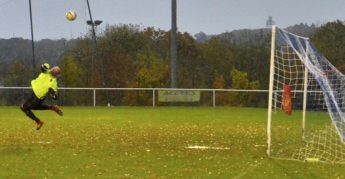 2-1 win for Jets in a competitive and close game. 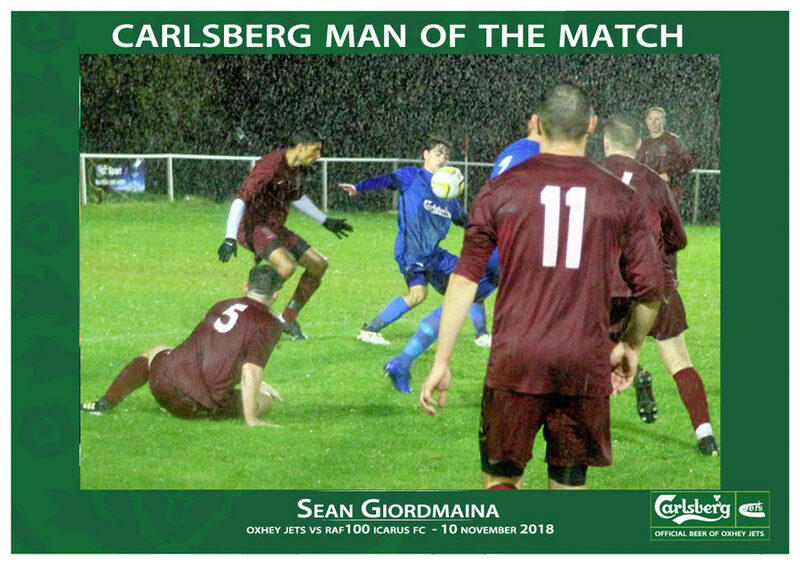 The decision on the Carlsberg Jets Man of the Match was made by the RAF, and they shared it between Leigh Stevens for his dominant midfield performance and Sean Giordmaina for his tireless work rate upfront, unsettling the Icarus defence, and getting the late winner. 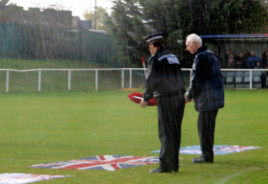 Wreath laying from the police and the Herts FA as the rain pours. Flag bearers, RAF cadets, Oxhey Jets youth, players, management and coaches, and wreath layers prepare for the start of the ceremony. 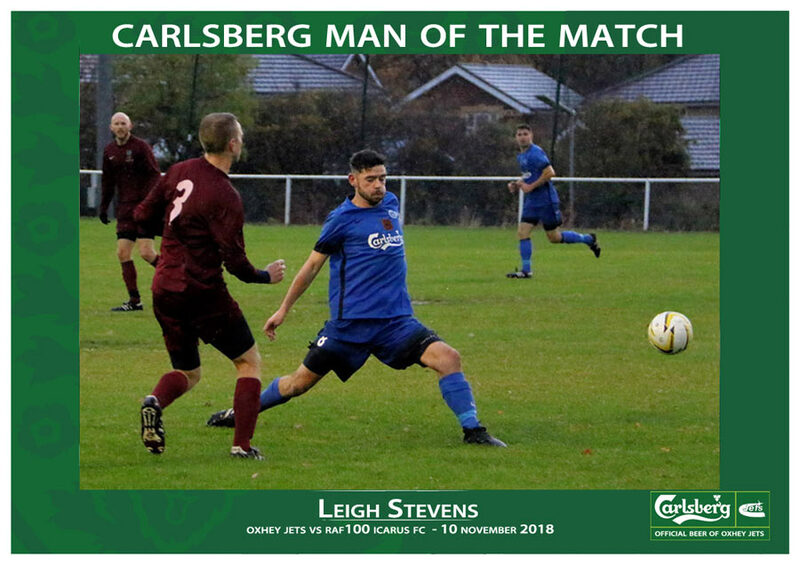 Leigh Stevens controlled the first half and shared the Jets Man of the Match award. 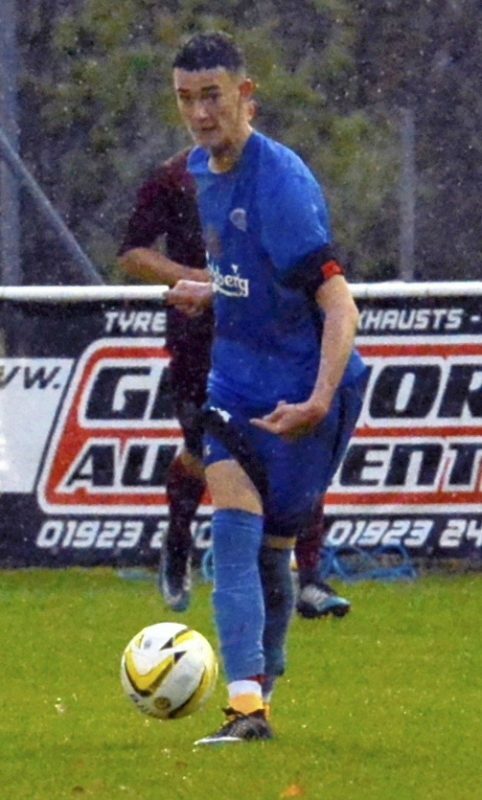 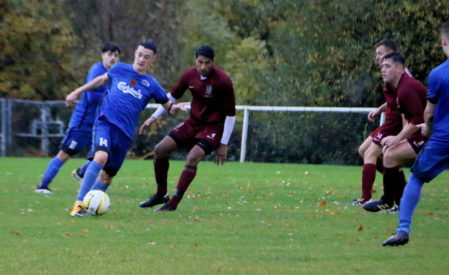 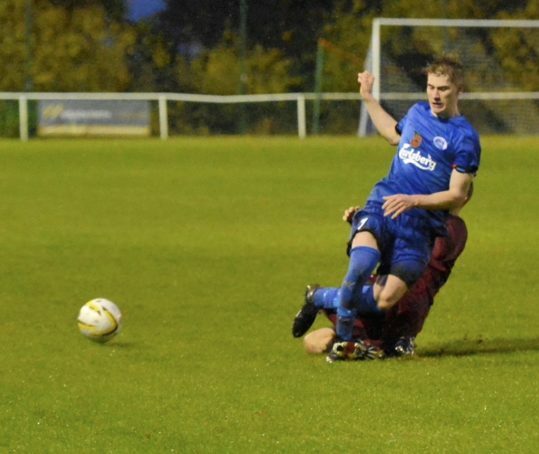 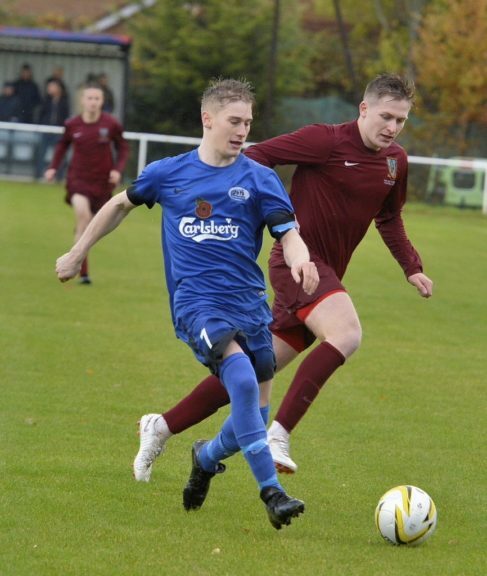 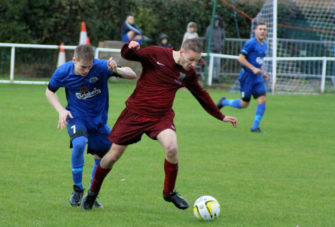 George Hobson put in a strong performance in midfield. 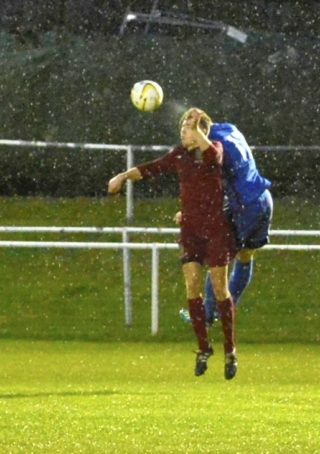 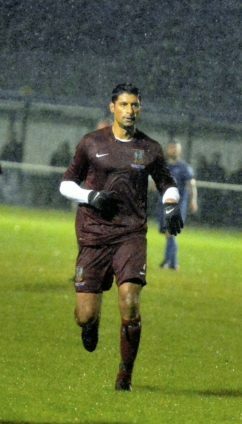 Vass was strong in defence. 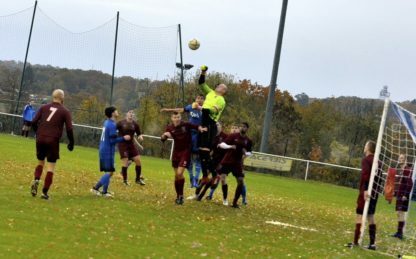 Sean leaps high but can’t connect with the cross, moments before his winner. 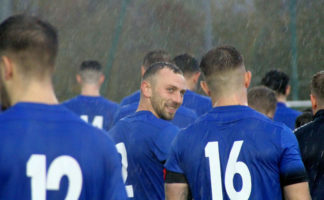 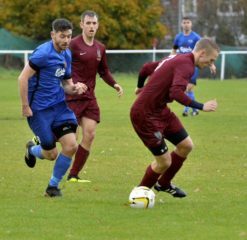 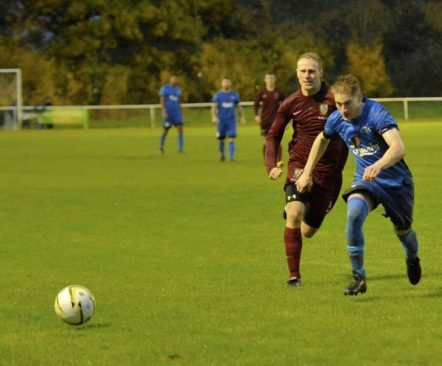 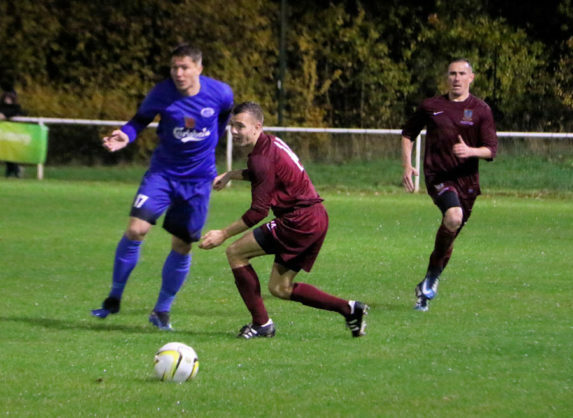 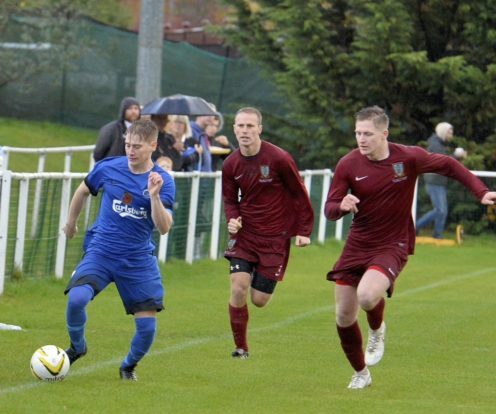 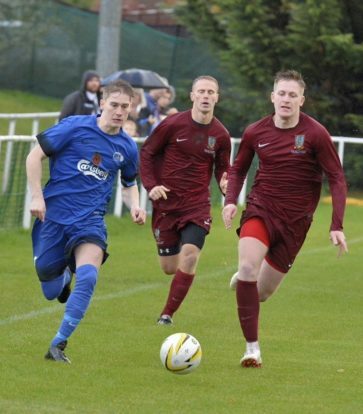 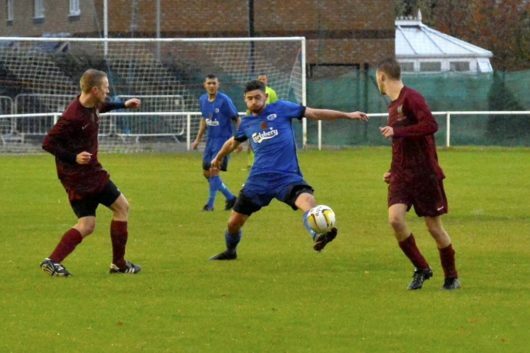 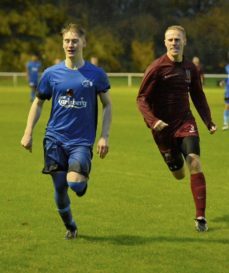 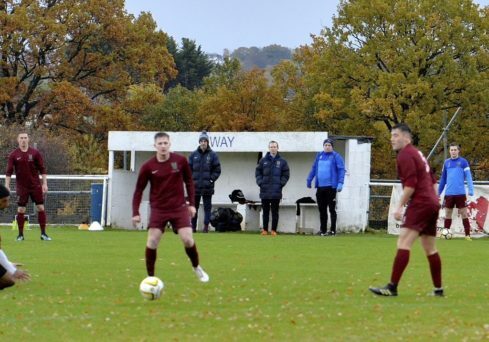 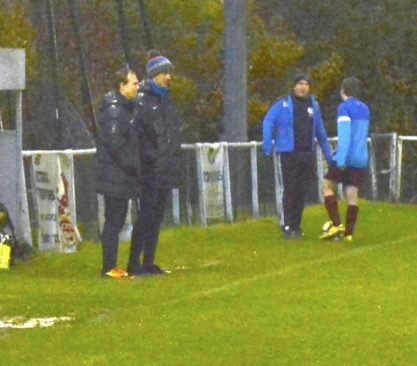 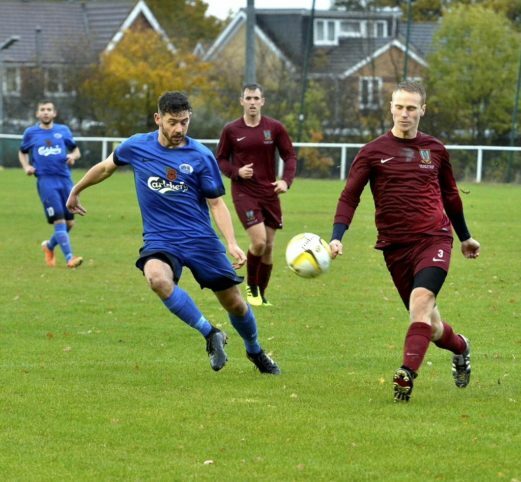 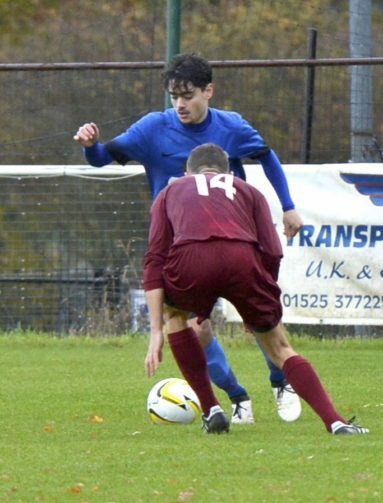 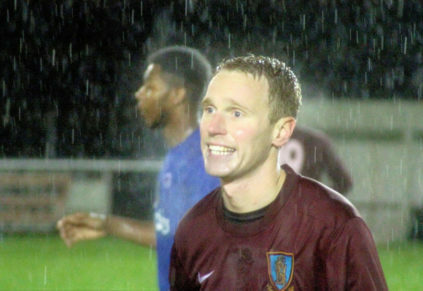 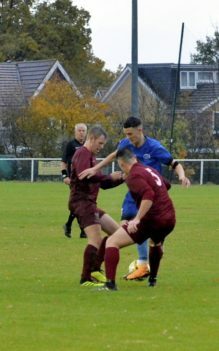 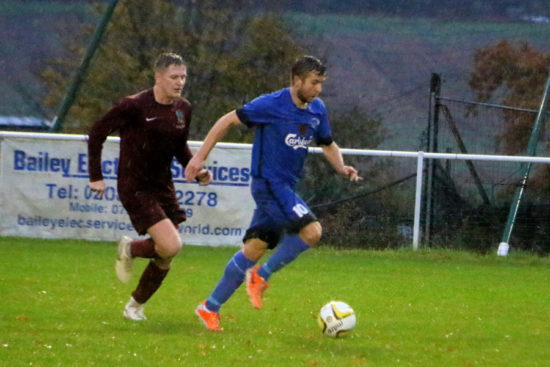 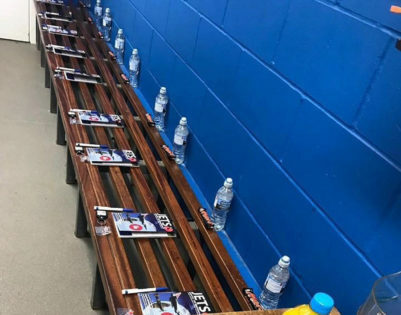 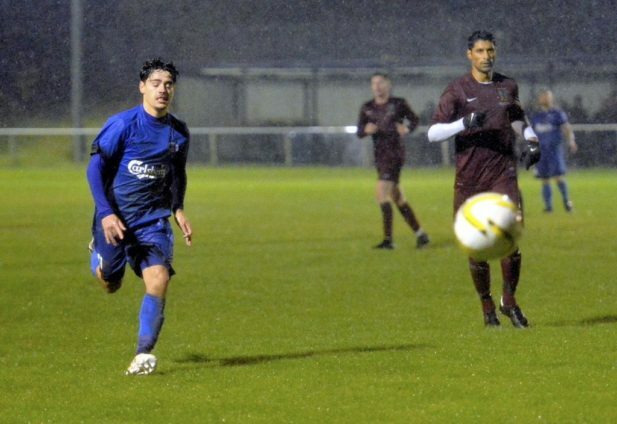 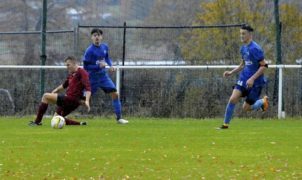 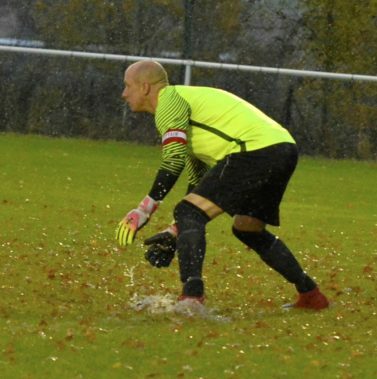 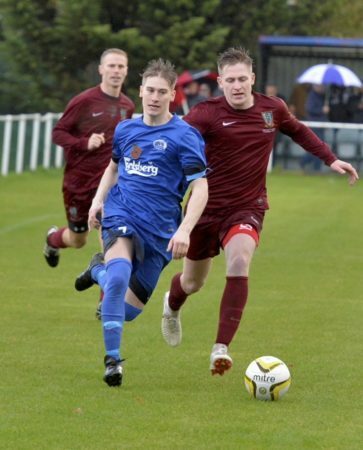 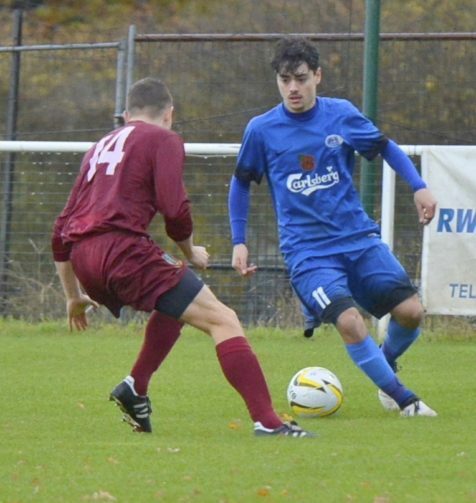 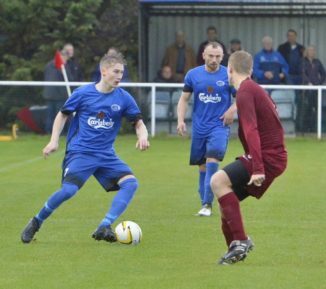 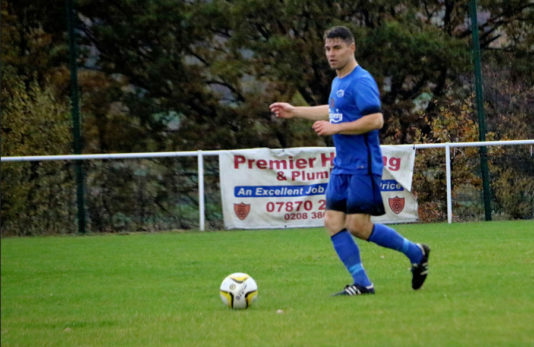 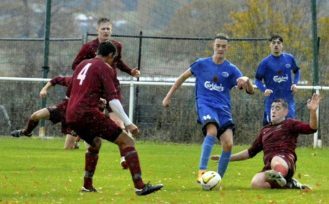 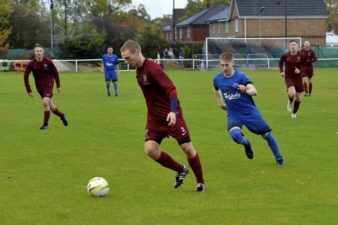 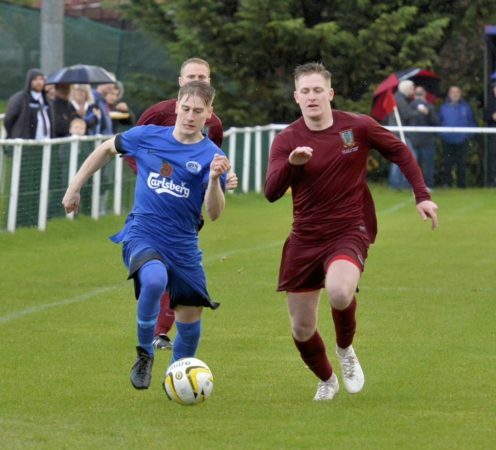 Loyal club man Craig Gorrie gets a call-up. 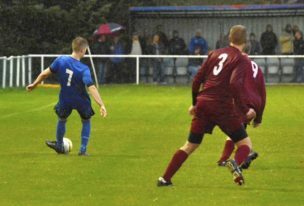 Tom Gibson just about to lay on the assist for Sean’s winner. Union colour bearer doesn’t flinch depite the deluge. 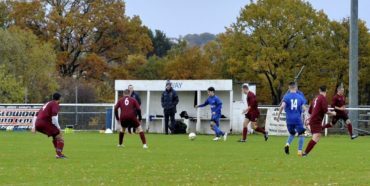 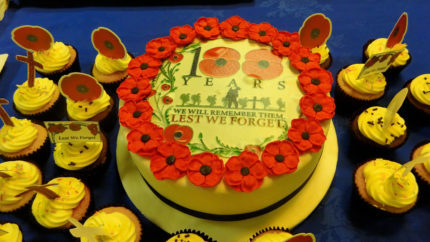 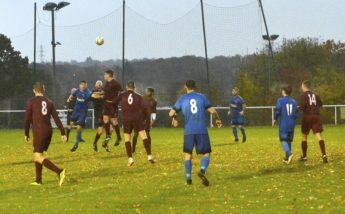 The Watford Observer have featured this Saturday’s match against the RAF Icarus team for the poppy appeal. 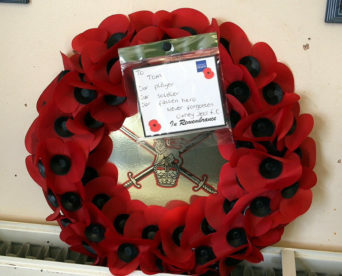 They are also going to include this in this week’s newspaper.